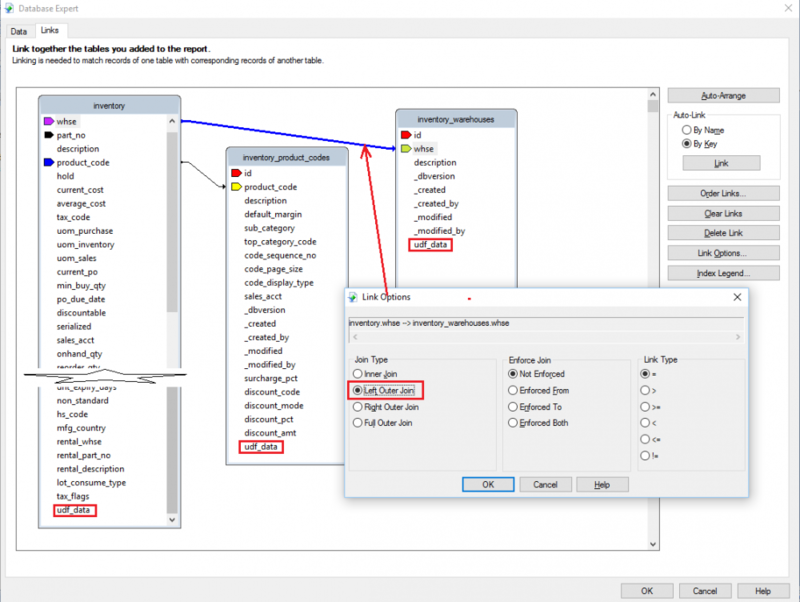 Entering data into the fields that you created is done by going to the ‘User Defined’ tab of the module. All the formatting you applied when setting up the fields, are respected. 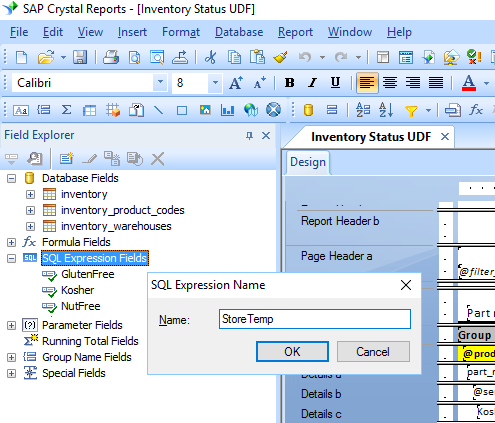 Open Crystal Reports and edit the report that needs UDF data added to it. 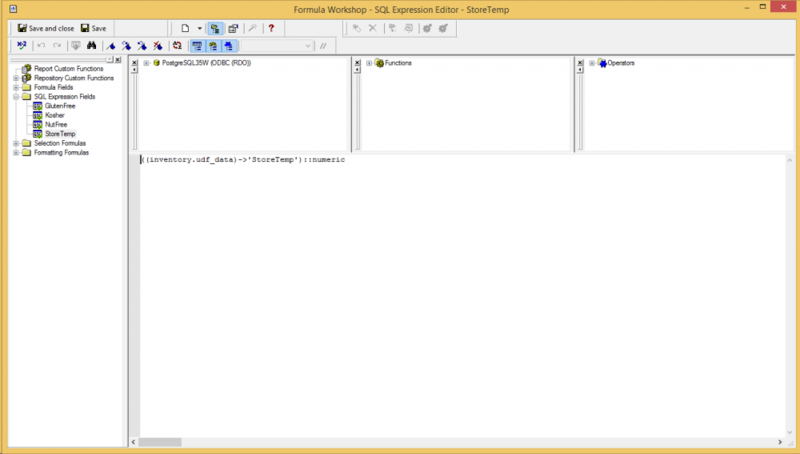 In this example we will edit the ‘Inventory Stock Status’ report. 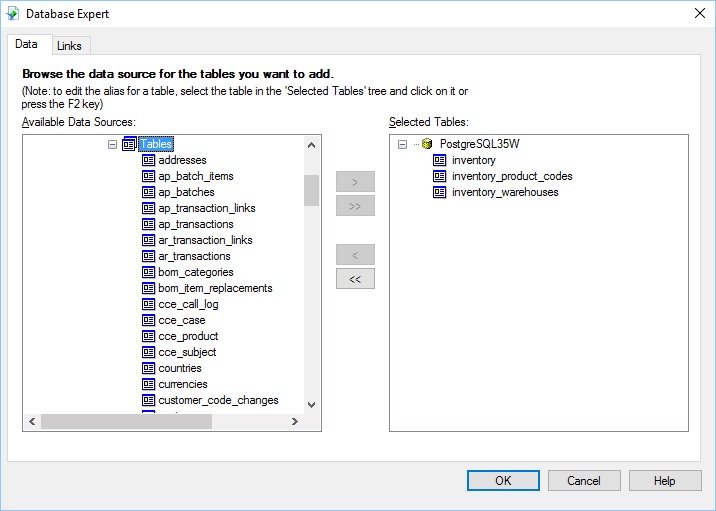 Go to ‘Database Expert’ and add the tables that are required for the report. The expression can now be added to the report.In this example we added 4 UDF fields along with a label.